Subsequent treatment for preschool children. As ACC registered providers, we offer a range of treatment including Surgical Rehabilitation, Physiotherapy, Traditional Chinese Medicine and Acupuncture Treatment. All of our physiotherapists are specialists in mobilisation, manipulation, exercise prescription, Pilates and rehabilitation. We provide expertise in all musculoskeletal problems from neck and back pain to sports injuries. Acupuncturists also specialize in an area such as chronic and acute pain, digestive upset, headaches, infertility and adjunctive cancer & chemotherapy treatment. We will look at the whole person not just your symptoms to find out the imbalance affecting your health. We believe that blending the best of western and eastern practices provide better care than a single treatment. This collaborative approach allows us to incorporate and connect key concepts and skills from two practices so that we deliver more comprehensive and systemic treatment such as Physiotherapy and Acupuncture Treatment Package. If you need physiotherapy and live in the Albany area – Axon Physio & Acupuncture provides a service that is not only easily accessible for the Albany area, but also provides high quality care to achieve optimal results and improve your quality of life. Our physiotherapist are specialist in restoring movement and function to anyone affected by injuries, disabilities, or health conditions. We are based in Sunnynook – providing easy access to Milford residents and anyone living in the North Shore. 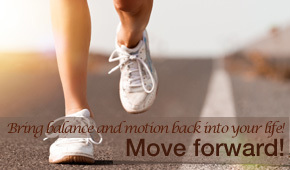 We have extensive experience in the mobilisation, manipulation, exercise prescription, Pilates and rehabilitation. We combine the best of the Western and Eastern practices as they have proven to provide better care than individual approaches. Our physiotherapists all have the same goal to treat the root of the injury rather than relieving the symptoms, whilst providing preventive tools to remain injury free. Our goal is to ensure we meet and exceed your expectations from our service. So if you’re in Albany, Milford, Sunnynook, or anywhere in the North Shore and are looking for physiotherapy we are the team you call upon. Axon Physio & Acupuncture delivers the high quality of care so people can achieve optimal results and improve their quality of life. Do you have an accident or get injured?